Here’s the map of the Busking Spots! Come and give your support to your favourite performer. – Saturday 18th March 2017, endocrinologist Busking starts at 9am. 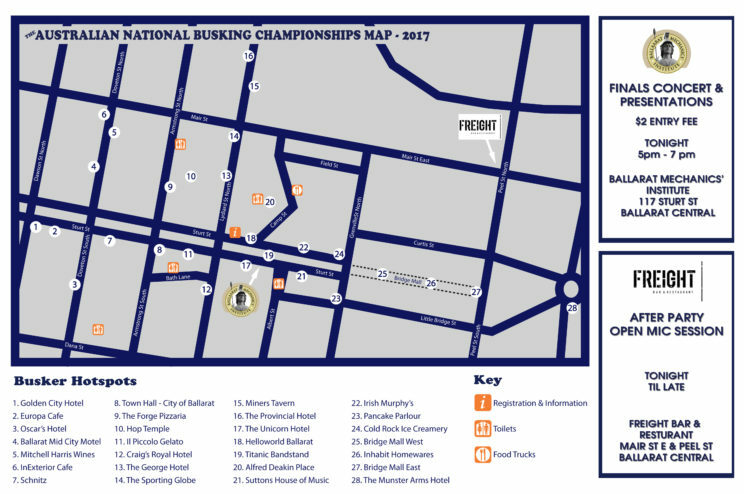 This entry was posted in Australian National Busking Championships™ and tagged Australian Natiinal Busking Championships, Ballarat Vic on March 13, 2017 by allan.